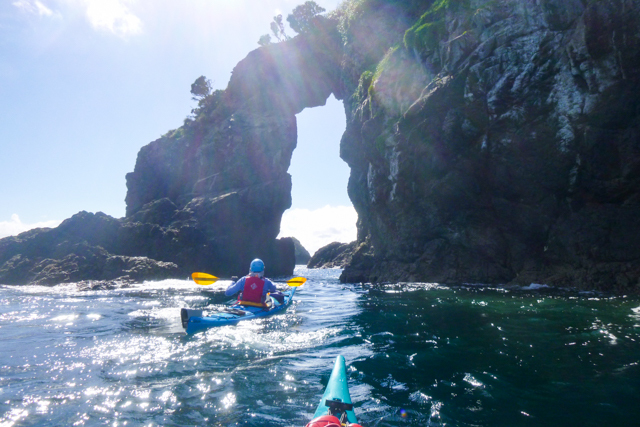 We specialise in leading adventurous multi day ocean kayaking tours and expeditions within the Bay of Islands and the surrounding outer coast! We get out to areas not visited by other tour operators and our trips are usually small groups so we can customise your experience. 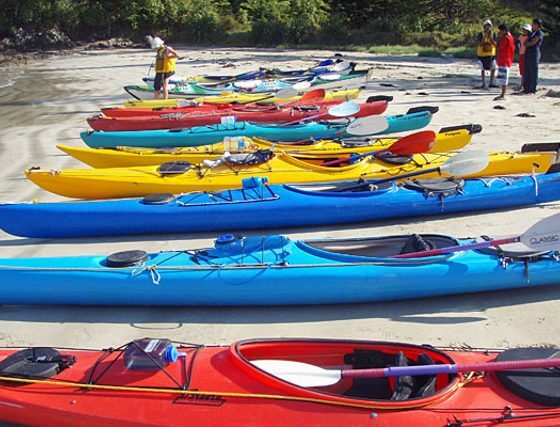 Instruction at both novice and advanced levels is included and technical paddling and deep water re-entry safety skills are taught on most trips. 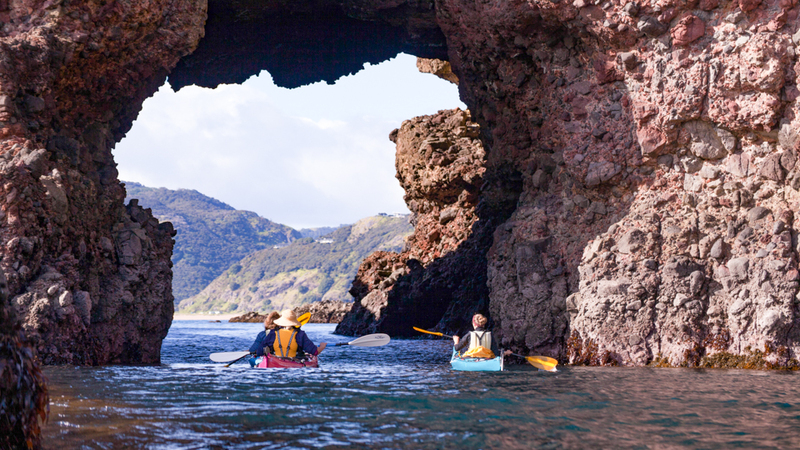 For those looking for an additional challenge rock gardening, sea caves and kayak surfing are also available. With over 30 years experience in this area we offer attention to detail, whether it be the meals we serve, our care for the environment or the equipment we provide. Plain and simple just as it should be! 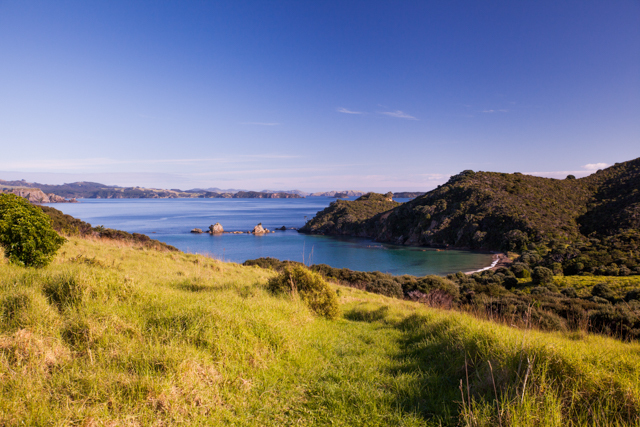 Enjoy the iconic Bay Of Islands in true kiwi style. 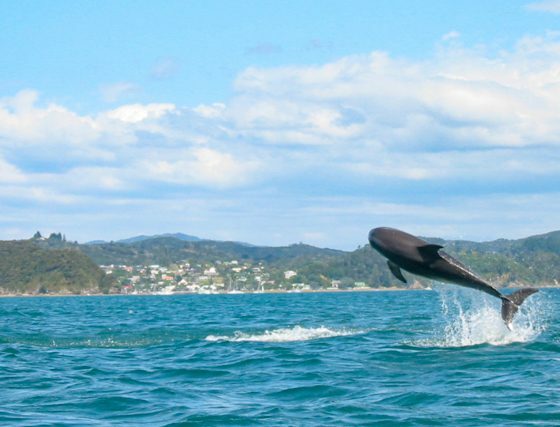 Camp by the beach, eat delicious meals cooked outdoors… Paddle your own path through the numerous rock gardens, snorkel the crystal clear waters, keep your eyes peeled for the Bays friendly dolphins. 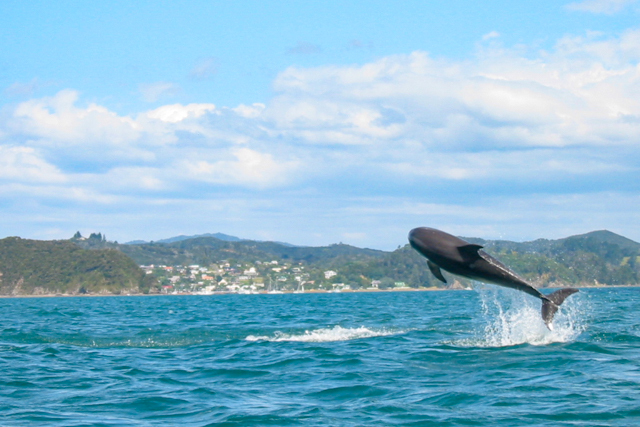 A true classic kiwi adventure trip. A paddlers’ paradise. 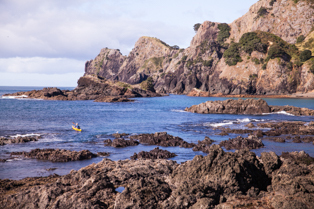 100 square miles of Maritime scenic reserve, full of islands, rocks and reefs that just beg to be explored. 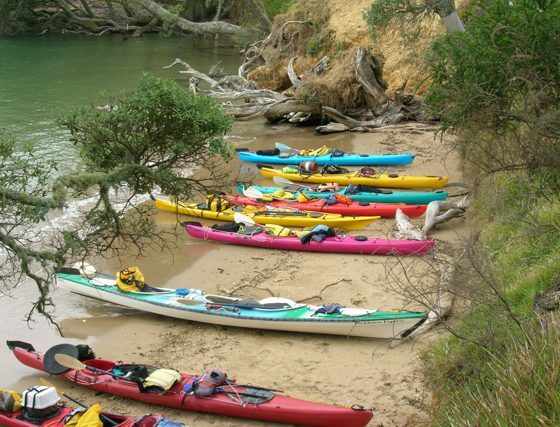 These trips will take you from the depths of the inner bays to the far outer reaches of Cape Brett or Cape Wiwiki. 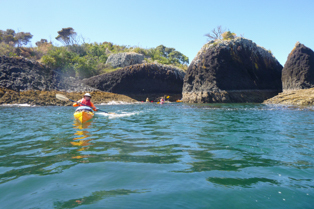 Within the sheltered waters of the Bay it is possible to take it easy and just cruise or to challenge yourself among the endless rock-gardens. Out in the Black Rocks and at the two Capes there are exciting passages and Caves. The stretches in between have many white sand beaches perfect for swimming and lazing around. Many reefs provide great snorkelling in the clear turquoise water. 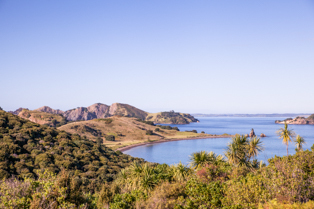 The Bay was a cradle for early Maori civilization and it abounds with old Pa (village) sites and places of historical importance. 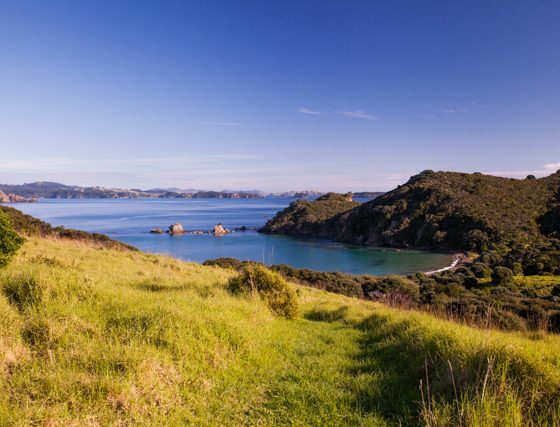 It was also the first area in New Zealand to be settled by Europeans so is rich in early history. Along the way we’ll see many of these places. We like to camp in style and so many years experience means we do this pretty well! Our guides take pride not only in giving you a great time on the water but in producing camp food that will make you mouth water! 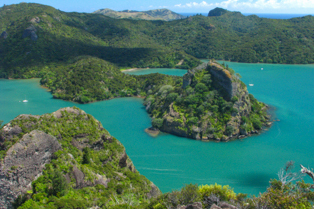 Discover Whangaroa Harbour and the surrounding area. This serene and magical part of the far north that is often forgotten! Paddle amazing rock gardens, long tunnels and passages. 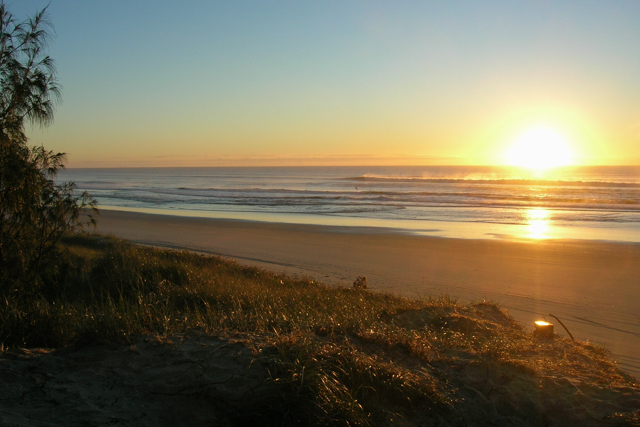 Bask on white sand beaches or challenge yourself in the surf. At the end of each day enjoy an aperitif in the late afternoon sun and bed down in the cozy Lane Cove hut. Wake up to the dawn chorus, have a delicious breakfast, then follow the morning mists out the harbour entrance. 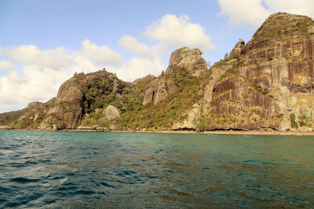 Whangaroa Harbour and Northland’s beautiful beaches await you. 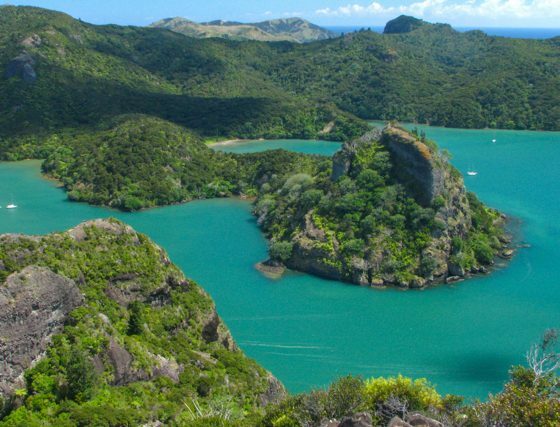 Often overlooked Whangaroa is a small harbour, 40km north of the Bay Of Islands, home to deep inlets, small coves and steep bush clad hillsides. Outside on the northern coast tall cliffs, long sea caves and white sand beaches abound. A paddlers dream! 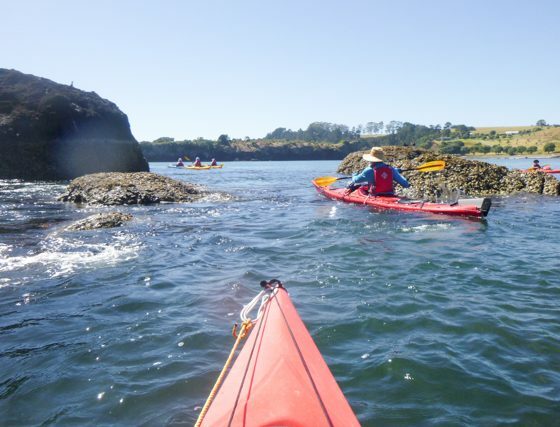 Suitable and exciting for paddlers of all ability this is a trip that has something for everyone, Let our experienced and knowledgeable guides tailor the trip to your desires. Either challenging you or giving you the relaxing summer time escape we all need sometimes. 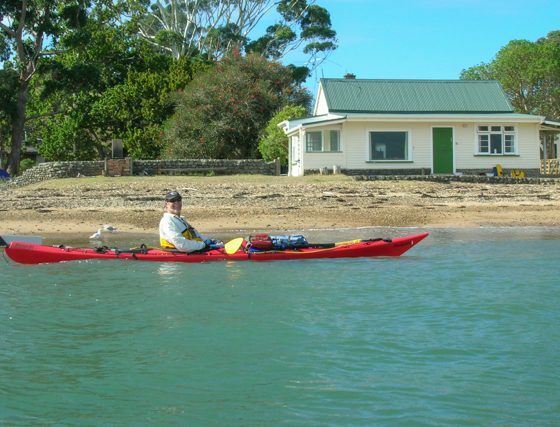 Explore the coast intimately and come back to the comfort of the cosy Lane Cove Hut each night. We pride ourselves on providing delicious meals throughout the day, utilizing Northland great fresh produce and hopefully some fresh seafood collected or caught during the days paddle. 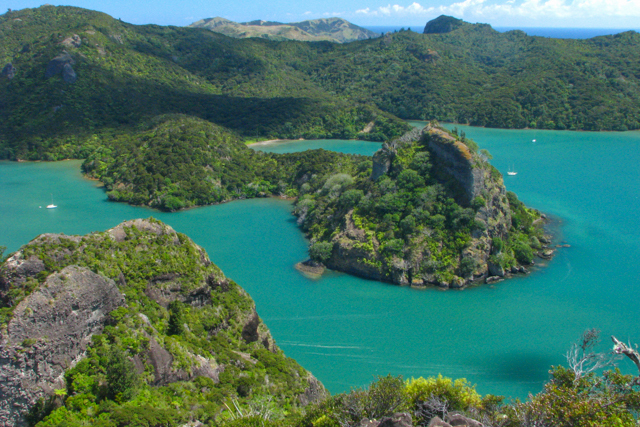 Whangaroa is rich in history, flora and fauna. Our guides will keep you entertained with many facts, stories and pieces of local gossip. 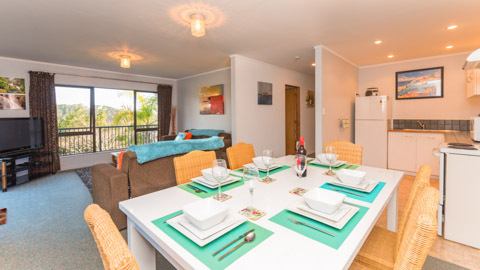 Accomodation: Cottage Motorua Island – cost is an extra NZD$200 per night, split between group members. Leave the tents and camping gear behind! 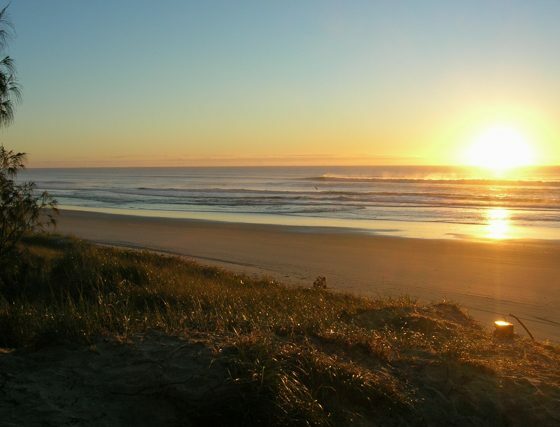 Bring on the hot showers and ice-cold beverages, whilst lodging in a beautiful ocean side cottage. 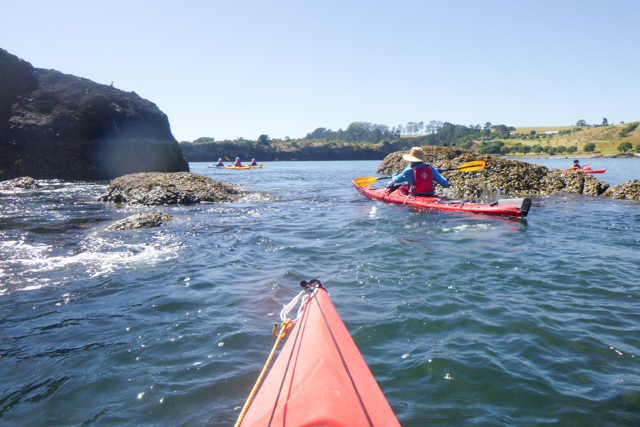 This kayak tour is a perfect combination of evening comfort with active days’ ocean kayaking. Not to forget the Kiwis that can be heard and even found scratching in the bush by night. Adventure by day, creature comforts by night. Sounds attractive? Then this is the trip for you! 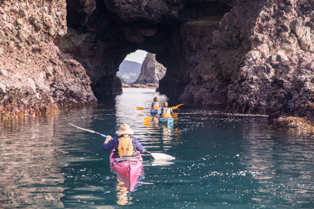 Experience the full wonder of kayaking in the Bay Of Islands but return each night to a beautifully appointed private cottage, a hot shower, some cold drinks and a comfortable bed. No roughing it with a camping mat and a sleeping bag on this one! 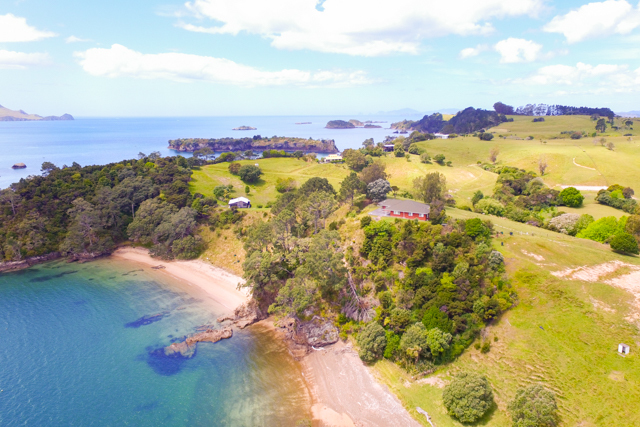 By day the Bay of Islands is a paddlers’ paradise and from our cottage base it is possible to experience the best it has to offer! 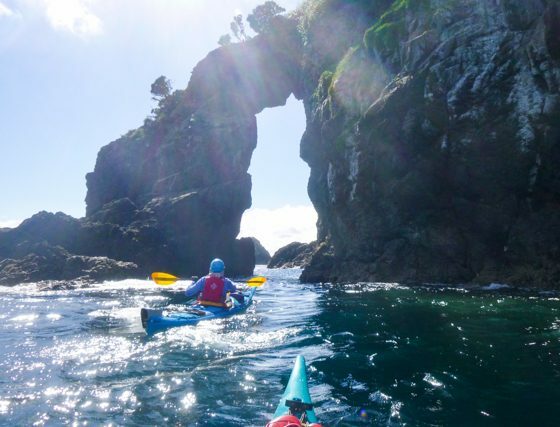 Circumnavigate Moturoa Island and paddle to Cape Wiwiki all the while paddling through caves, tunnels, narrow passages and endless rock gardens. Eat a terrific lunch, rest awhile then take in a snorkel from a white sand beach. Gather mussels with the guide for the evening BBQ and enjoy an aperitif in the last of the summer sun. We take great pride in providing mouth water food even when we are camping so just imagine what we can do with a full kitchen. Great local produce and fresh seafood are used as often as possible. 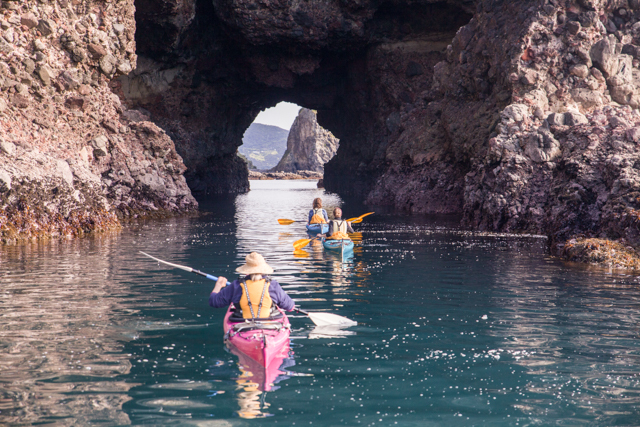 Towering cliffs, deep sea caves and challenging rock gardens, this trip is a paddlers’ nirvana. 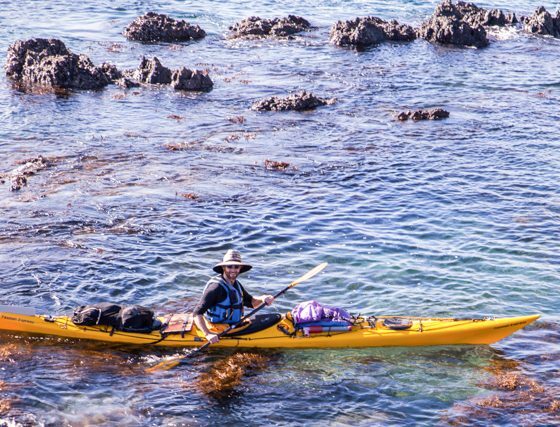 Our guides represent between them a knowledge of many different paddling locations worldwide and this is where they want to be! 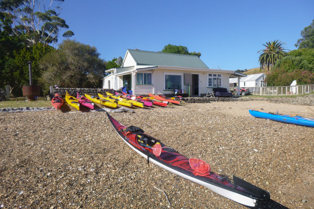 Surf kayaking is on the menu as is delicious food! A range of accommodation is available for this trip. The most intrepid of our shorter journeys, Cliffs and Caves takes place along Northland NE coast. 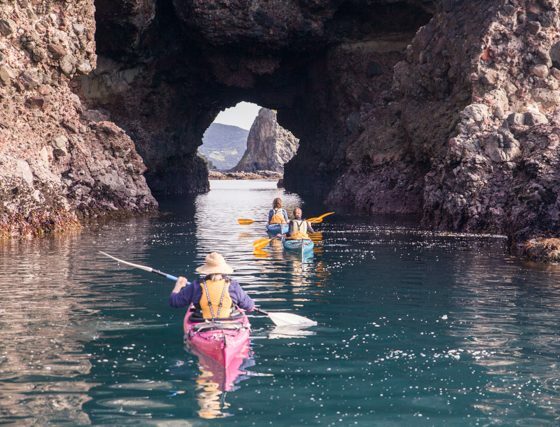 With long stretches of cliffs filled with tunnels, deep sea caves, narrow passages and long rock gardens, it can make for some exciting paddling. 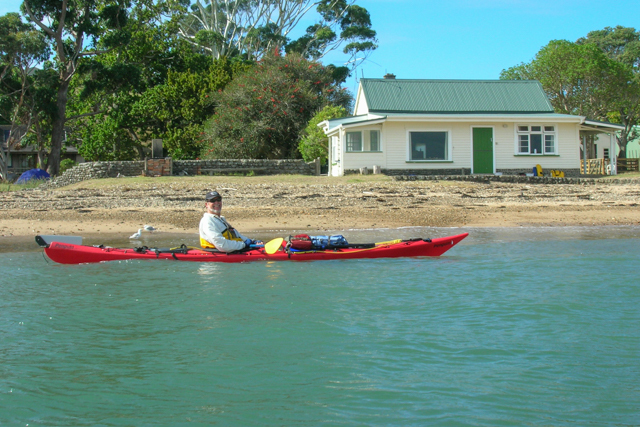 The outer coast is exposed to the ocean and paddling will often be in real ocean kayaking conditions. 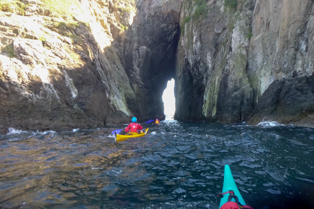 Swells washing up the rocks beside you and whooshing through the smaller passages keep things exciting. 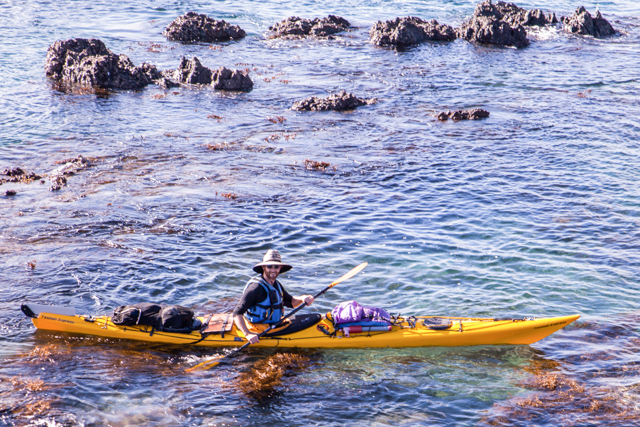 White sand beaches that break the rocky coastline can provide exciting opportunities to practice surfing a sea kayak and making landings in tricky conditions. 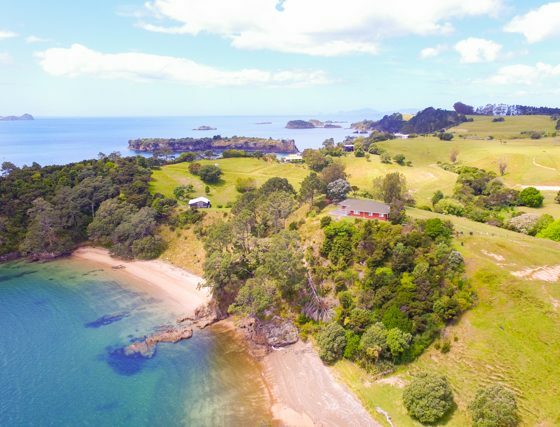 Along this coast we typical camp and make use of Department of Conservation Huts but if you want to experience the excitement of this area whilst living in style there are a number of great cottages that we can make use of by special request. 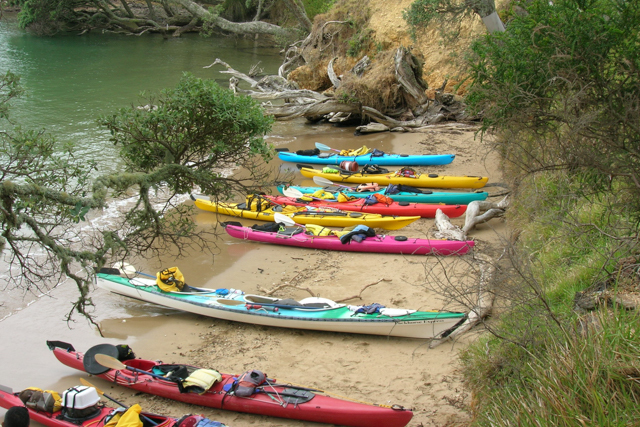 All kayaking equipment Including dry bags and paddling jackets. 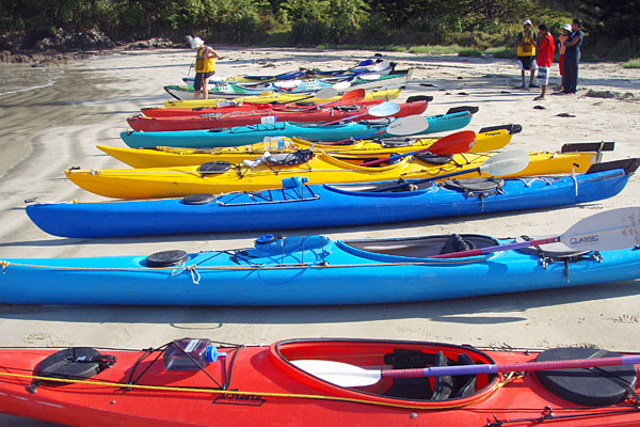 Single and double kayaks are available, which are outfitted with comfy air pad backrests. A point of pride for us. You’ll find the beachside dining one of the highlights of the tour. 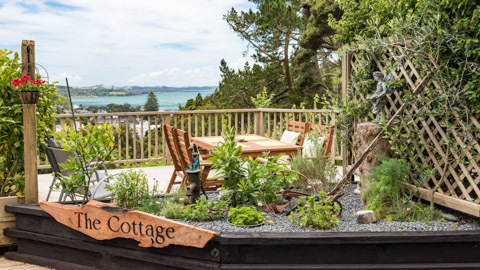 Great care is taken to organise and prepare terrific meals from locally grown fruits and vegetables with baked desserts and quality New Zealand meats provided. On occasion a variety of fresh seafood caught during our tour will round out our sumptuous meals. Note: Pre-tour information, which includes a detailed clothing and gear list, plus local accommodation and transportation information will be sent upon receipt of your deposit. Note: Payment for Department of Conservation campsite/hut fees will apply on trips using those facilities. 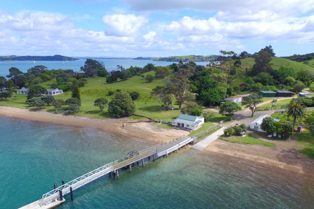 Also, a nominal, group shared, ground transport cost will be collected for trips departing or returning a significant distance from the Paihia, Bay of Islands area.